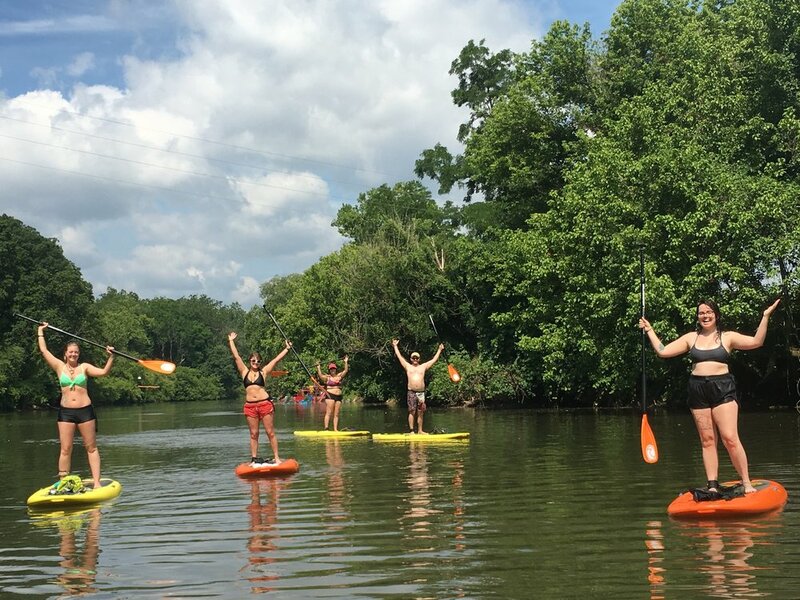 Looking For Group Activities In Asheville? or whatever adventure brings your group up to Asheville! 10% GROUP DISCOUNT on parties of 8 or more! 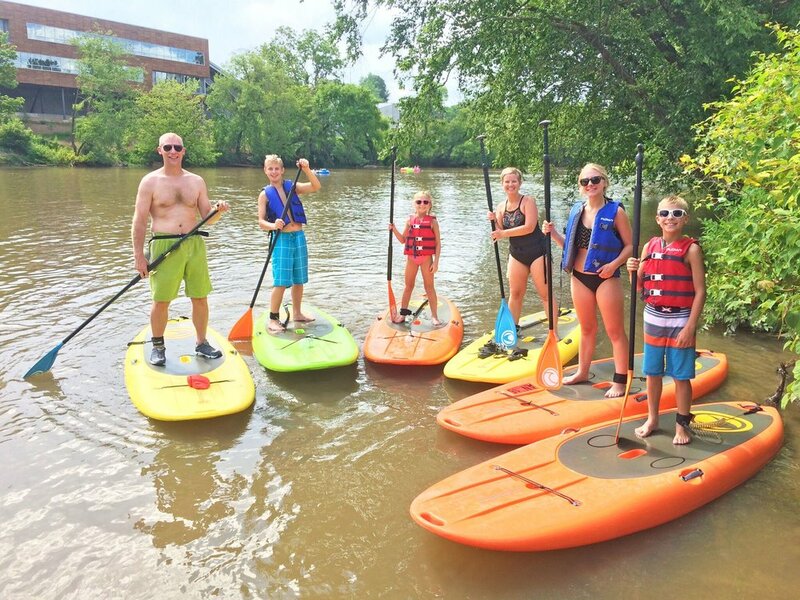 In addition to our fleet of stable paddleboards we have our 6-person "Party Barge" that's great for team building or families traveling with children!